I can’t believe it’s been over a month since I last posted! Babies take up so much time! I keep imagining I will one day have that 3 hr block of free time I used to use to write and photograph posts. Now that is a dream. So, since I want my blog to be about writing. I am going to drastically cut down on long posts and a bunch of pictures. Until I have more time I will be writing and photographing from my iPhone. This way I can write while nursing, cooking or one of the million other things to do where I only have one hand. Since Gavin turned 5 months he has been taking longer, more regular naps, his colic has passed and I have had enough time to settle into this whole new experience of having two children to juggle. I bow down to those of you who have a whole gaggle of kids yet still hold it together. Anyway, I have slowly been trying to recapture who I am outside of being pregnant and then a new mom. Somewhere you kind of lose your identity as things change so rapidly. To help do this I’m going to attempt to post everyday for thirty days. Just small post like what I made myself for lunch, or what I’m doing for spring cleaning or an inspiring message I discovered. I would love to have you all follow along! Day 1 – Tom is always telling me that I don’t do enough for myself, so today instead of doing the laundry while Gavin sleeps I am working in the garden and blogging! 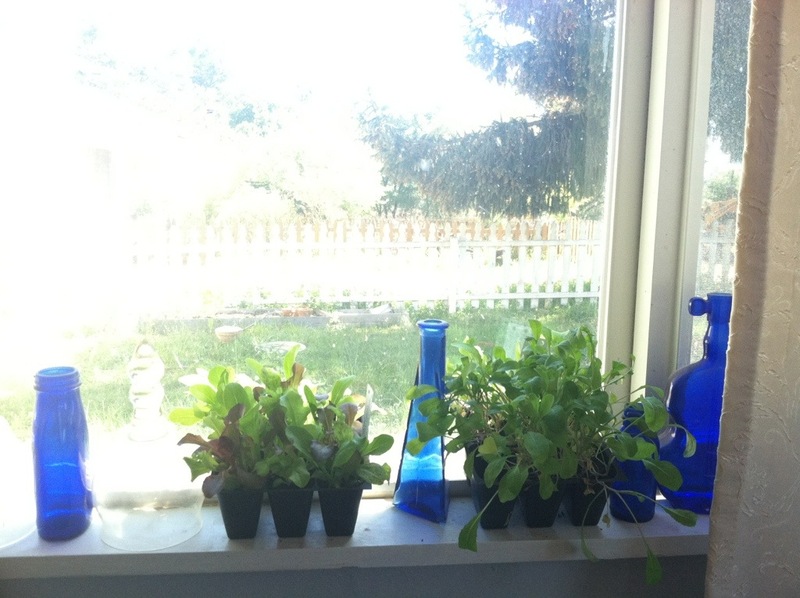 Since I am way behind with this years garden I bought two 6 cell packs of lettuce and arugula seedlings. To force myself to get started. 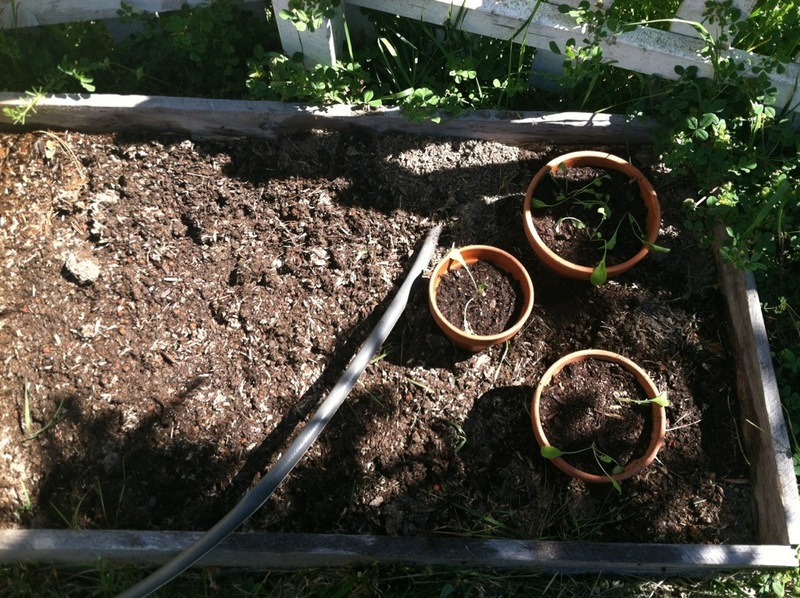 Since the garden beds need new soil I am planting them in pots for the porch. I see lots of yummy salad in my future.